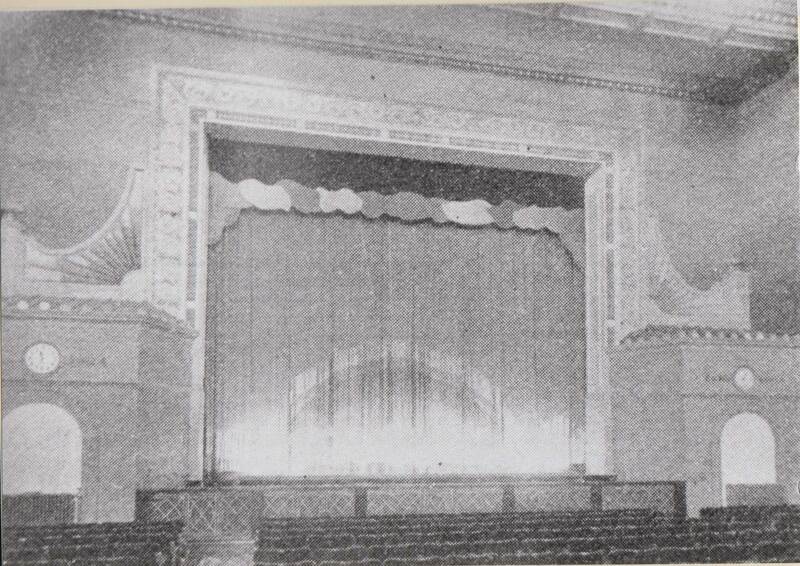 The original theatre started life in the 1870’s as a roller skating rink into which owners erected a make-shift stage and renamed it The Rink Theatre. The “Rink” was converted into the Marina in 1897 and, on April 26, the Haymarket Drama Society were the first to perform on the stage with Peter the Penman by Sir Charles Young. The basis of the present theatre building was then erected, largely on the foundations of the old and was designed by Ernest Runtz and Co.
Until Thompson took it on it operated as a live venue. After use by Thompson briefly Associated British Cinemas took it over in 1931 and ran it as a cinema followed by EMI. Briefly used during the second world war as a temporary mortuary and a reception centre for evacuated children, the Marina began to struggle in the late 1960’s with the introduction of colour television . 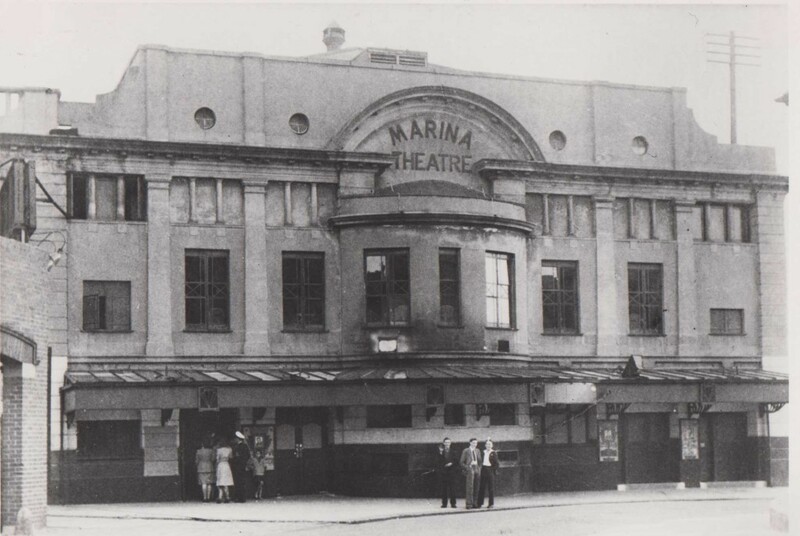 The Marina soldiered on as a cinema before finally closing on Christmas Eve 1984. After being bought by Waveney District Council in 1985, 24 hours before a demolition deadline, set by EMI, the Marina underwent a huge renovation which included the reconstruction of the dressing room area, and the construction of a new toilet block to serve the circle and bar areas. On October 1, 1988, almost four years after its closure, the Marina re-opened as the new Civic Theatre and Cultural Centre. 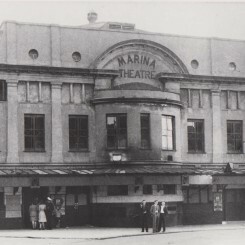 In 2011, the Theatre again faced an uncertain future but was saved due to the formation of the new Marina Theatre Trust. and improved facilities.